The Championships at Wimbledon is unlike any other tennis tournament, and largely unrivalled across the broader spectrum of elite sport. So rich is its history, heritage and prestige that few other occasions can rival those two weeks in early July when the world turns its attention to south-west London. It is often said that the special traditions of SW19 make The Championships what they are – a glorious celebration of sporting competition and endeavour, but also grace, dignity and integrity. This may be true, but traditions and cultural norms neither invent nor sustain themselves. They need to be nurtured and nourished in order to take hold. Over more than a century of tennis at SW19, this is what has occurred. The All England Club has served a dual purpose in both organising the leading tournament on the calendar, but also setting the benchmark for conduct and etiquette on the grounds at Church Road. Both roles are of paramount importance, since Wimbledon is about far more that games, sets and matches. 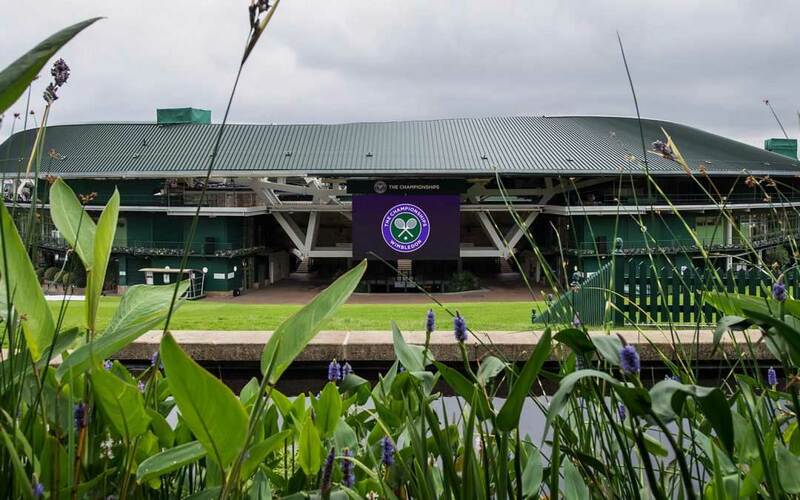 In their role as the guardians of The Championships, the primary focus of officials, members and volunteers is to protect the integrity of Wimbledon. The All England Club sets the benchmark for others to follow – including every player, coach, media representative and spectator. Each individual who enters the club knows that just a little more is expected of them, in terms of the way they dress, interact and carry themselves. Players recognise that, in making the main draw and becoming part of the Wimbledon story, they have a responsibility to adhere to convention. It is an expectation that they will follow the lead of generations of players who have come before, but also a huge honour. Competitors know that if they treat the tournament with the respect it deserves, this may well be repaid to them many times over. In this sense, Wimbledon can bring the best out in people. This is a place where honesty, fair play and strong moral principles have always been encouraged and celebrated – stemming from the enduring efforts of the All England Club. Integrity is at the very heart of the tournament’s fabric, and everyone buys into this concept. Having provided hospitality packages at Wimbledon for a quarter of a century, our Sportsworld team is well aware of the important role we play in this regard. We take delight in following the lead of the All England Club by honouring and respecting the traditions of The Championships within our Fairway Village enclosure. We know that by delivering the highest standards or service, and replicating the Club’s standards of conduct, we can deliver on two important fronts. Not only can we play a small role in keeping Wimbledon special, but we can provide a superb, authentic Wimbledon experience for our guests. This is, as it has been since the very start, both our joy and our privilege. To enquire about booking Wimbledon hospitality packages, contact Sportsworld today on 0208 971 2966.